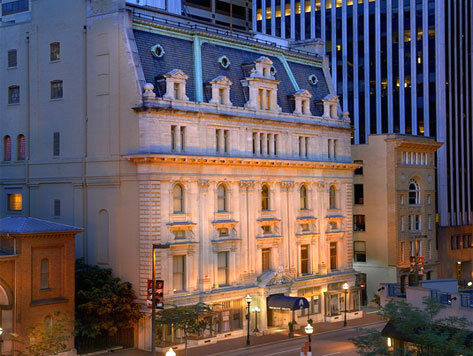 The Grand Historic Venue was built by the Freemasons as the Grand Lodge of Maryland Masonic Temple in 1866, and served as the organization’s headquarters for over 130 years. The French and Italian Renaissance-inspired seven-story building features ten meeting rooms, a marble staircase, stained glass windows, and Rococo chandeliers. The building was recently restored to its original design and conditions, and is now used for hosting weddings and special corporate and private events.